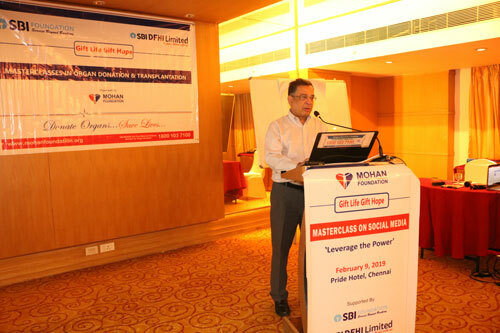 On Saturday, 9th February 2019, MOHAN Foundation organised a one-day masterclass on Social Media for Organ Donation and Transplantation at Hotel Pride in Chennai. 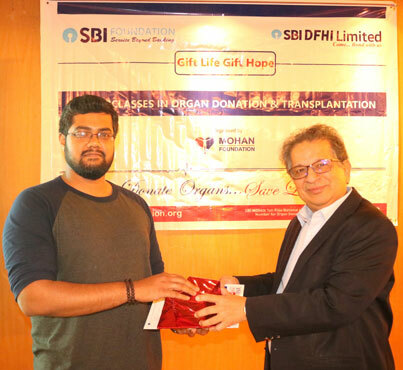 The participants were healthcare professionals in the field of organ donation and transplantation. 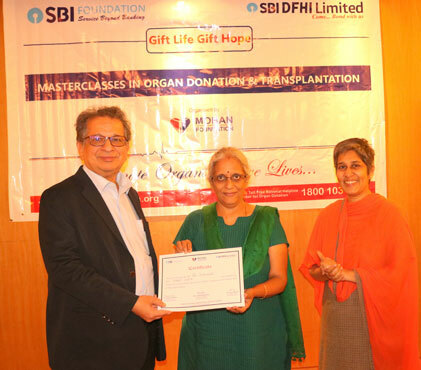 This masterclass was supported by SBI Foundation and SBI DFHI Limited. 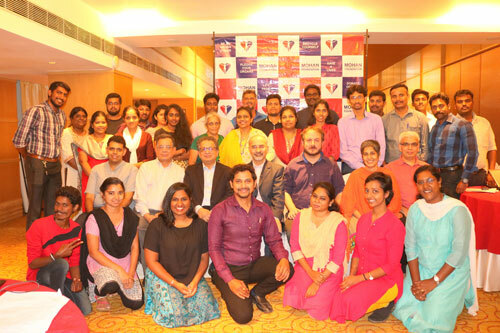 The participants, 30 in number, were a mix of doctors, transplant coordinators, NGO workers and employees of MOHAN Foundation. 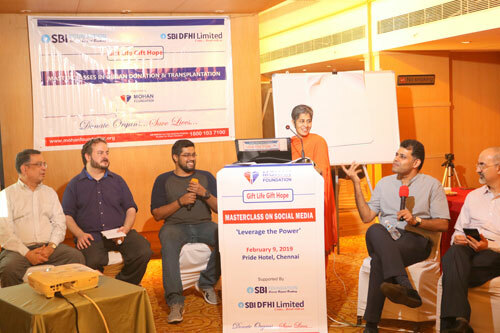 The masterclass aimed at helping these participants learn how to engage effectively with the many aspects of organ donation like awareness creation and knowledge sharing across various social media platforms. The opening remarks were delivered by Dr. Sunil Shroff, Managing Trustee of MOHAN Foundation who also welcomed the participants. The first session was on Introduction to the Twitter World and was handled by Mr. Arun Shroff, Co-Founder and Director, Medindia.net, Xtend.AI. The participants learned how to create a Twitter account, tweeting/retweeting, following relevant users, using hashtags, and other important features. He also explained elaborately how to attract the attention of the relevant people in the field and maintaining a clutter-free, pertinent timeline. The participants had the opportunity to try out some of these features as well. The next instructor was Dr. Arvind Conjeevaram, Consultant Nephrologist - The Bangalore Hospital, @ISNeducation Social Media Professional and #ECNeph Founder. He spoke about using Twitter in the field of Nephrology and Transplants to follow latest news, access research articles and seek help of subject experts. He also demonstrated how Twitter could be effectively used to broadcast conferences and interviews live. Dr. Arvind introduced the participants to the various gadgets that would be required to accomplish these activities as well. Participants were given the opportunity to post a live feed of the masterclass for learning purposes. 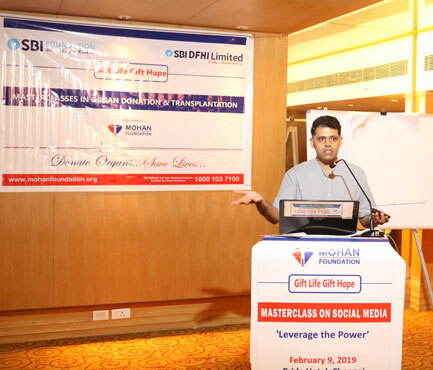 The second session focussed on learning to use certain advanced features of Facebook by Mr. Gowtham, Founder, Business & Marketing Strategist - Brand That Social. Ads, marketing, getting likes and brand publicity were some of the features that the participants were acquainted with. Dr. Sanjeev Nair, Assistant Professor, Dept. of Nephrology - Saveetha Medical College was the next instructor. He spoke about certain sensitive topics like organ soliciting posts appearing on Facebook and other mediums and the appropriate reactions to them. This was followed by a series of exercises for the participants. The first one involved participants learning to create organ donor status for their Facebook profiles. The second was a fun exercise by Dr. Sumana Navin and Ms. Ann Alex of MOHAN Foundation on busting myths about organ donation in media. A few movie clips depicting fictitious messages related to organ donation were shown and ways to counter this were discussed. 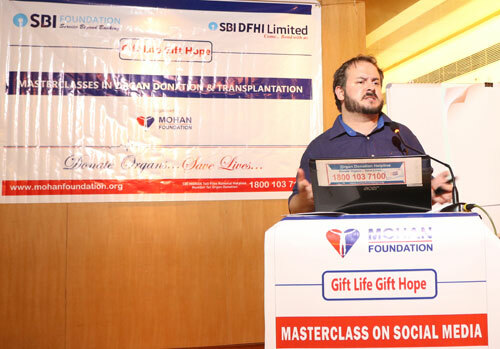 Following a hearty lunch, the participants reassembled to hear Dr. Sunil Shroff talk about how social media is being used for soliciting organs and how this could be countered. 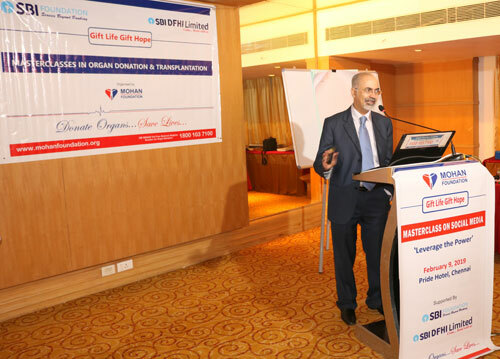 Subsequently Dr. Sanjeev gave an outline about using blogs in the field of organ donation. An activity that involved participants creating a mock blog page was a part of the session. A panel discussion moderated by Dr. Sumana brought together all the instructors for a healthy discussion on ‘Requirements for making content go viral.’ What is viral, why some content goes viral, appropriate platforms, cost effective strategies were some points discussed. The final session of the masterclass had Mr. 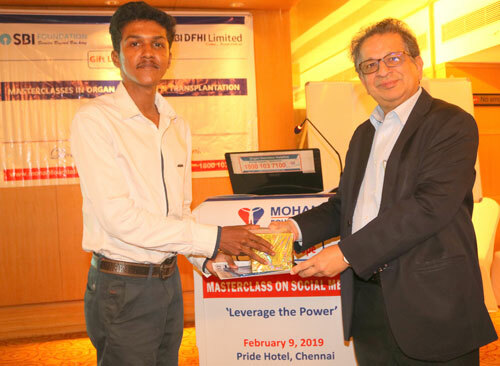 Rob Peck, Director of Client Services - 3M Directional Marketing talking about social media for marketing and Mr. Aswin Balaji, Medical Social Worker – Ketto, speaking on fund raising through social media. Mr. Peck explained how certain campaigns proved to be successful and Mr. Aswin illustrated his points with case studies. Participants had a lot of questions for both the speakers. 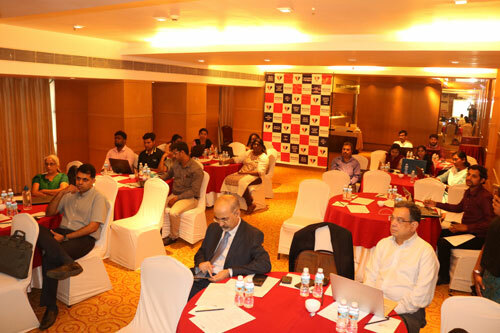 The masterclass came to a close with feedback from the participants and certificate distribution.